Use Word processing and graphics skills to complete a technology notebook including nominations for the Institute of 21st Century Technology's Hall of Fame. 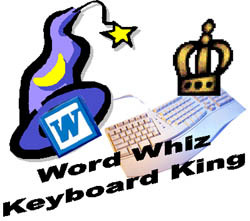 You will be introduced to basic word processing skills as you write a letter, create a riddle page, complete a fictitious story, enter description for a timeline, organize the instructions for a take home experiment and develop a design for a new invention. How fast and how accurate can you go? Learn how to dazzle yourself, your family and your teachers with your speed and accuracy as you use the keyboard and state of art technology tools to create school papers, assignments and projects!! Call up a wealth of reference materials and resources in under a minute which you can use to fully investigate, not only school assignments, but check out your own pursuits as well!! People expect more from the Internet now – richer content and more dynamic applications. Macromedia® Studio MX was designed to introduce students to Macromedia’s suite of Web-authoring applications, and show students how to use them to create appealing and cutting-edge multimedia. This course covers, Macromedia Dreamweaver®, Fireworks®, Flash™, and FreeHand® 10 as a highly integrated and approachable solution – with everything they will need to create the full spectrum on Internet solutions, from Web sites to Web applications and Rich Internet Applications. 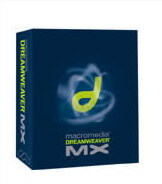 Macromedia Dreamweaver MX is a professional visual editor for creating and managing Web sites and Web pages. Students can use Dreamweaver to visually design their Web pages in the convenient Layout view, or they can use the robust text-editing features when they want to hand-code their page. Students will learn Web publishing skills they will need to: Add text, graphics and links; Add Macromedia Flash text and buttons; Create complex tables in Layout view; Add enhancements, such as rollover buttons and images; Manage the site. 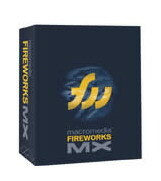 Macromedia Fireworks MX is a graphics program used to create and edit sophisticated images for the Web. With Fireworks, students can quickly create image maps, rollover buttons, animations, and entire Web pages. 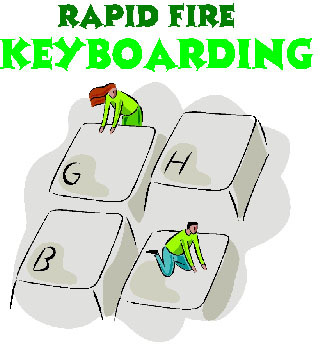 They can then use the optimization features to shrink the file size of their graphics without sacrificing quality. When the students are ready, they will simply export the HTML code to their favorite editor, such as Macromedia Dreamweaver MX. 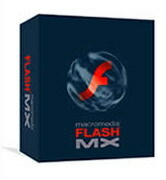 Macromedia Flash MX is the professional-standard authoring tool for producing high impact Web experiences. Whether students will be creating animated logos, Web site navigation controls, long form animations, entire Macromedia Flash Websites, or Web applications, they will find the power and flexibility of Macromedia Flash for their creativity. 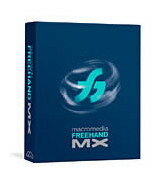 Macromedia FreeHand 10 has the versatility to perform many functions. It is a superb vector illustration tool, a flexible page layout solution, and, most importantly, a powerful, integral part of a Web development workflow. Students will learn the Web publishing skills they need to: Create logos, graphics, and buttons; Customize the FreeHand interface to suit their working preferences; Convert placed images into vector images; Create a storyboard workflow; Import FreeHand files into Macromedia Flash and create basic animations; Integrate FreeHand with other applications, such as Fireworks and Dreamweaver.